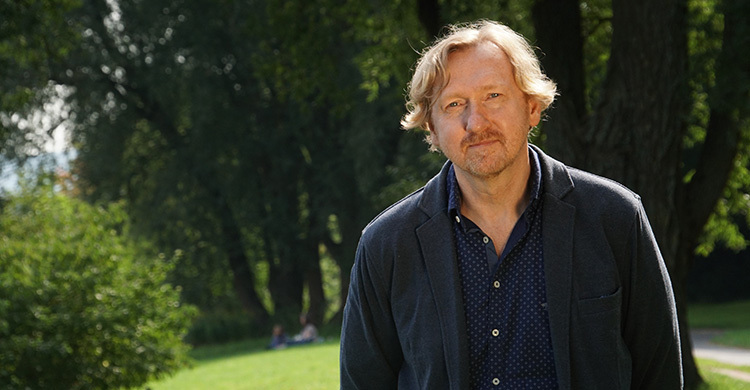 Bonn, 24 January 2019 - The AEWA Secretariat was sad to learn that the Executive Secretary of the Convention on Migratory Species (CMS), Dr. Bradnee Chambers, passed away on 23 January 2019 in his native Canada after a short illness. This is a tragic loss for the CMS Family and the United Nations. Bradnee became Executive Secretary of CMS in 2013 and led the Convention through the Conferences of the Parties in Quito in 2014 (COP11) and Manila in 2017 (COP12). Under his leadership, CMS progressed to becoming a stronger Convention with a significantly higher number of Parties. “Bradnee was committed to the conservation of biodiversity and as Executive Secretary of the UNEP/AEWA Secretariat, I was happy to work under his leadership. As he said at the MOP7 opening ceremony recently held in Durban on 4 December 2018: AEWA plays a key role as a member of the CMS Family in achieving flyway conservation goals and adds an important component to the conservation of global biodiversity. We have had many fruitful discussions on how to increase our collaboration within the CMS Family to make the theme of “Connectivity” the root of our actions and a key issue in the post 2020 global biodiversity framework”, said Jacques Trouvilliez, Executive Secretary of AEWA. Bradnee was instrumental in the instigation of a review mechanism to facilitate better implementation of the Convention and a stronger cooperation of CMS with other biodiversity Conventions. He was aiming to ensure that the CMS Family was supportive of and recognized within the Post-2020 Biodiversity Framework and envisaged CMS COP13 as a milestone in achieving this target. “Under the leadership of Bradnee, we have launched a joint Communications team, sharing our resources to increase our efficiency and visibility. Bradnee and I were convinced that our common mission of safeguarding wild animals needs not only the involvement of governments but also of the general public as well. In that respect, Bradnee and I signed in the margins of the CMS COP12 in Manilla an agreement with Environment for the Americas (EFTA) to make World Migratory Bird Day a global event spanning over all the continents. I have lost not only a great colleague but also a friend”, said Trouvilliez.